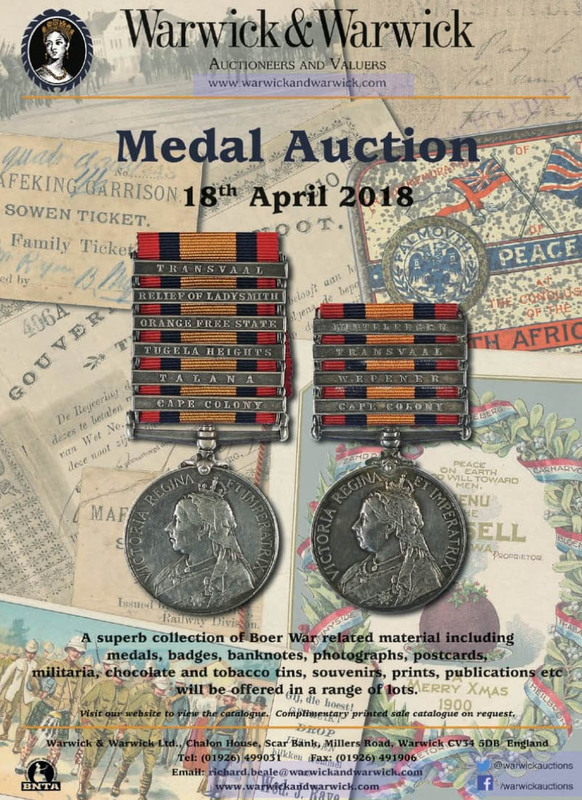 In the latest Medal news, W&W are advertisining a Boer War-foused auction next month. The catalogue is available on line. This is a range of Boer War items with many photos and postcards as well as other memorabilia. Thanks David, some fine items. Sale date clashes with my wife's birthday - who gets presents?! I hear there's lots to do in Warwick and that it is a great birthday destination! The next sale of W&W on 17 Apr contains a couple of PoWs QSAs and about 10 QSAs to Dragoon Guards.